So much Indiegogo love! 11 days to go! | So much Indiegogo love! 11 days to go! So much Indiegogo love! 11 days to go! Oh hooray! 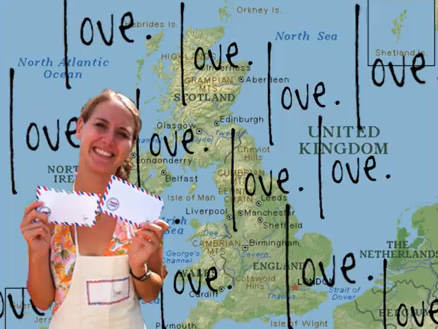 We’ve only get 11 days left in my Indiegogo campaign to get The Love Lettering Project across the pond for a 5-city UK tour and already at $1550/$3k! So exciting! Huge and enormous thank yous to all of the supporters so far!! I can’t wait to write y’all postcards and fill your mail boxes with framed love letters and see what people across the pond love about their communities! On we go! Love, write, deliver!